Democracy Now! interviews Iara Lee about the video she managed to get past Israeli jamming, from the Israeli raid on the Mavi Marmara aid ship in international waters. She later that day released 15 minutes of footage at the website, Culturesofresistance.org. It shows scenes from the period before and during the Israeli commandos’ boarding of the ship, which are difficult to interpret but which some observers are alleging show firing from the helicopters as well as blood and a wounded passenger. 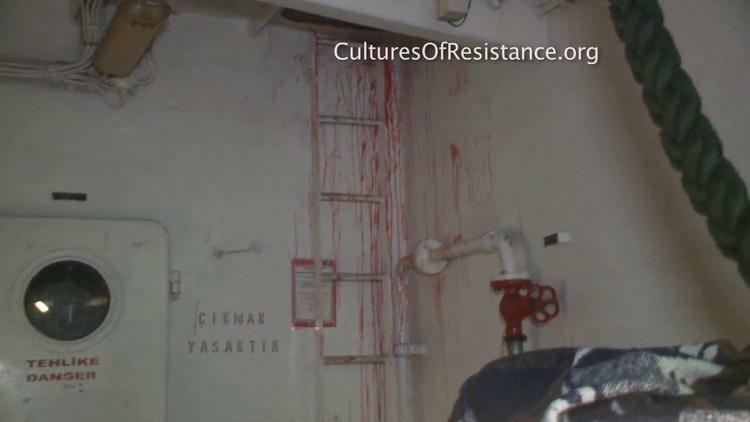 The confiscation by Israel of the photographs and videos taken aboard the ship, as well as attempts to erase them, looks an awful lot like a cover-up of criminal activity.